Let creativity flow in this spacious, open-layout modern office building. WHAT IS IT: A modern, renovated office space with an open floorplan and exposed brick for a historic touch. WHAT'S COOL ABOUT IT: The office's open-concept floorplan allows companies to organize the space to their liking and promotes employee collaboration and creativity. WHERE IS IT: Innovation Square, Gainesville's tech and research district between UF and downtown filled with dynamic, up-and-coming startups. AVAILABLE SPACE: Inquire for availability. Situated in the center of Innovation Square, the 305 office bulding offers companies a modern workspace in a prime location. Seek resources, inspiration and support from the University of Florida and a tight-knit community of other local businesses located nearby. Employees at the 305 will located walking distance to Gainesville's highest-rated restaurants, cafes, and bistros - so they can conveniently recharge during break and quickly get back to work. Quickly becoming known as the go-to-place for startups and tech companies, the Innovation Square business network brings progressive, pioneering companies together into one ideal location. Over 6,000 of the sharpest minds in Florida graduate every year from the University of Florida. 305 is positioned in an ideal location just steps away from campus, making it easy for companies to recruit these graduates into full-time employees. 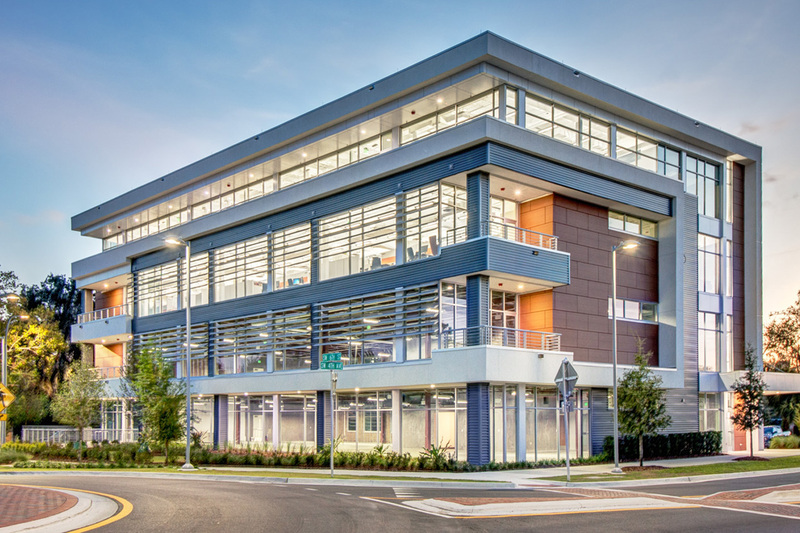 An eye-catching, contemporary workplace in Gainesville's growing business district, the 305 office building at Innovation Square is the ideal headquarters for any progressive, high-tech company. Positioned in a highly-trafficked region between downtown Gainesville and the University of Florida campus, the space’s ultramodern design is sure to attract the eye of any potential clients and employees passing by. The building features an open floorplan which promotes interoffice communication, allowing creativity to flow and bold ideas to thrive. The spacious work area is easily customizable, allowing companies to set up a layout which fits their specific needs. The space includes a glass-walled conference room for important client meetings as well as a private office that can double as an executive suite. Elevated ceilings and an abundance of windows bringing in lots of natural sunlight create a spacious atmosphere, while exposed brick accent walls, polished wood-look floors, and stylish kitchen appliances give the space a modern appearance. Located near a scenic office park, dozens of top-rated downtown restaurants, and a network of other tech startups, the 305 building offers new and established companies a state-of-the-art office space in a convenient location. "Wow. That looks like a cool place to work." Trimark Properties knows a company's office environment shapes its success. The office space you lease from us is not just another attractive building - it inspires productivity, creativity and collaboration, and acts as a representation of your firm's values and culture. Our high-quality designs and attention to detail ensure that your company's first impression on potential clients, employees and investors is one that will confidently stand out. "As a business expands and their needs evolve, the building will progress with them. We call this our 'planned growth' program. Our design team collaborates closely with our tenants to produce an adaptable floorplan that is able to accommodate for projected expansion. Companies can add a substantial number of employees without needing to add square footage or relocate to another building. 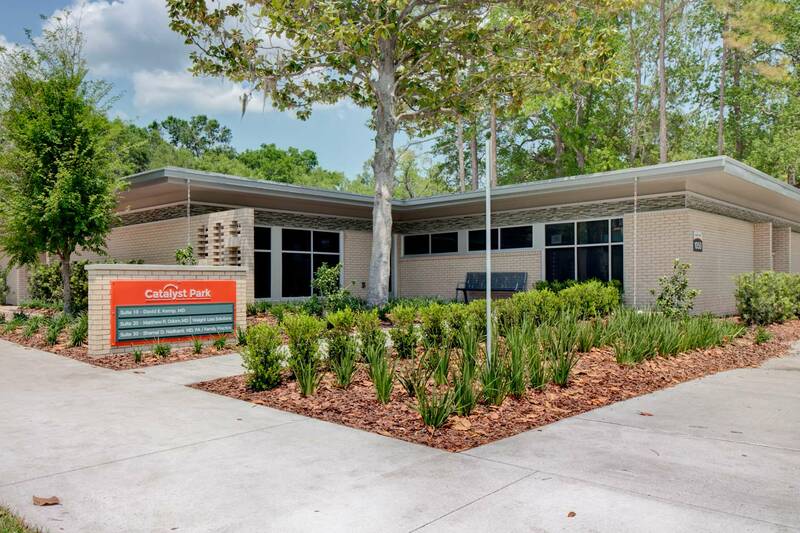 Adaptable office spaces like these are essential in order to attract progressive, rapidly-developing firms to Gainesville." This spacious floorplan consists of an open main work area which allows employees to bounce ideas off each other and engage in productive conversations between different departments. The building also includes a large private office and conference room for meetings, as well as an updated, modern employee kitchen. Meet Ingenuity: a dynamic office space in the heart of Gainesville’s Innovation Square! Located walking distance to UF & downtown, you will be in the perfect position to experience all the best that Gainesville has to offer. Full renovations were recently completed in Feb. 2018, making this space like-new with ultramodern features. Multiple floorplan options, custom build-outs and lots of on-site parking offered, all in a highly-visible location. 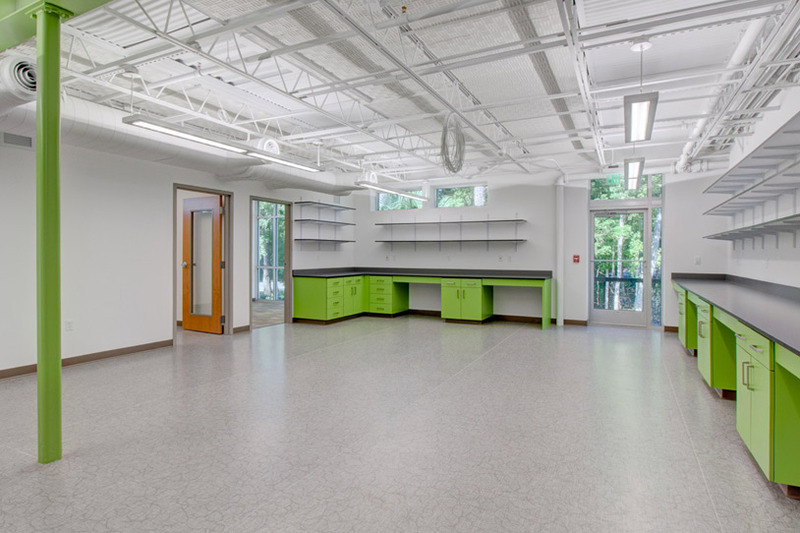 The 1140 bldg at Catalyst Park offers customizable, premium dry lab/office and wet lab space in the heart of Gainesville. Perfect for those looking for an area similar to Progress Park but within 1 mile of UF. Fill out the form below and a leasing professional will be in touch with you within one business day to provide you with more information. Don't want to wait? Call Matthew Luedecke at (352) 336-4930 or email at mluedecke@trimarkproperties.com.